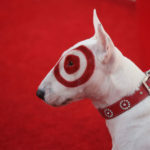 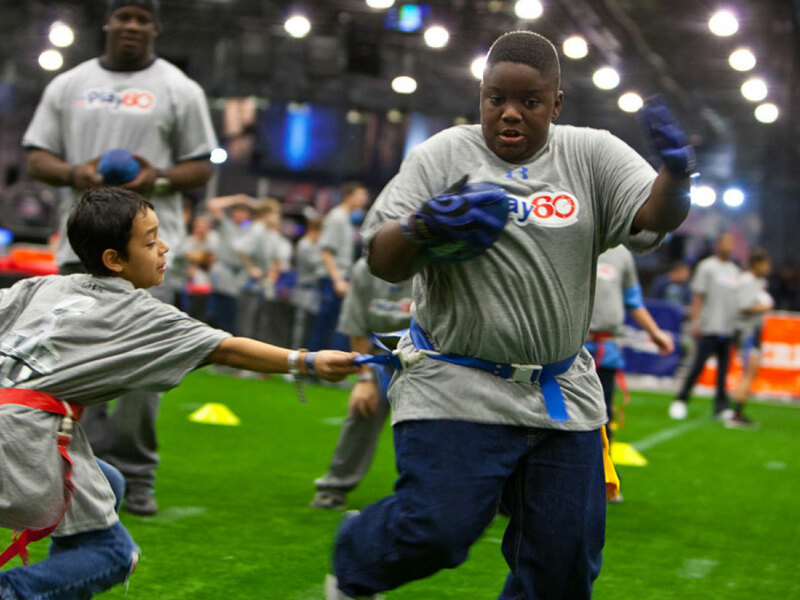 Blind Society gets people into the NFL’s big game. 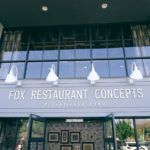 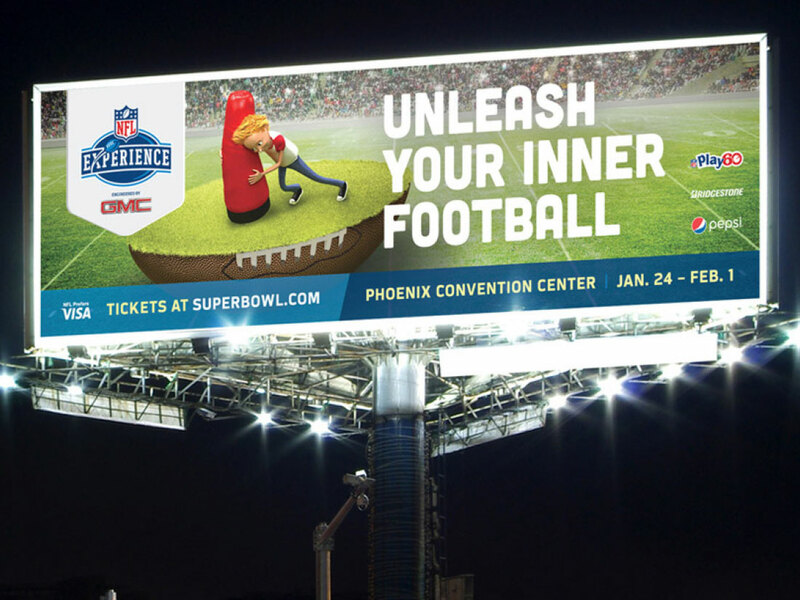 The National Football League (NFL) turned to Blind Society, a branding and creative agency in Scottsdale, to bring the 2015 NFL Experience to life. 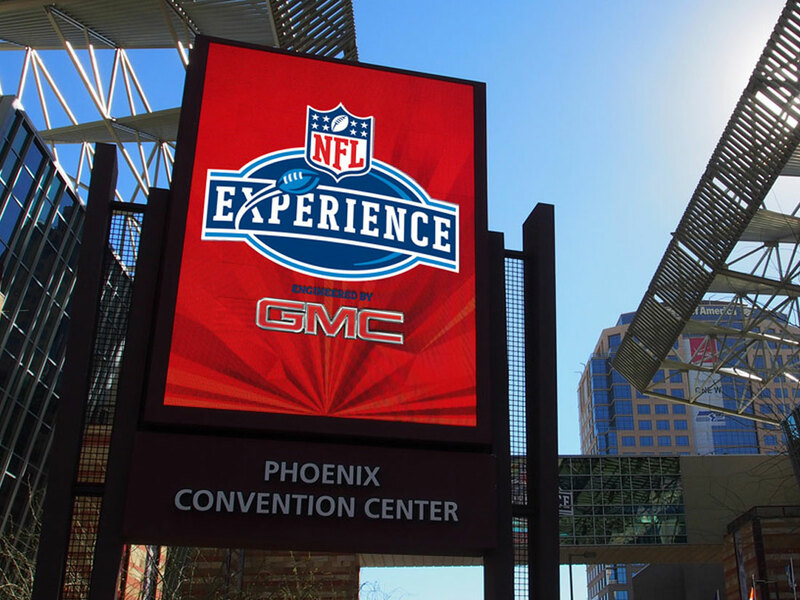 The NFL Experience takes place the week leading up to the Super Bowl and gives the host city’s community the opportunity to be a part of the big game. 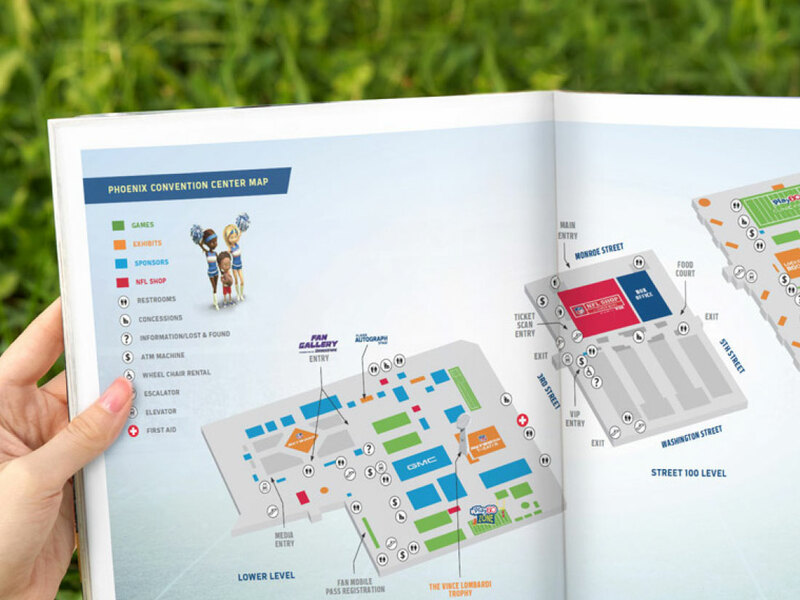 It’s an interactive theme park that offers participatory games, displays, entertainment attractions, youth football clinics and free autograph sessions from NFL players. 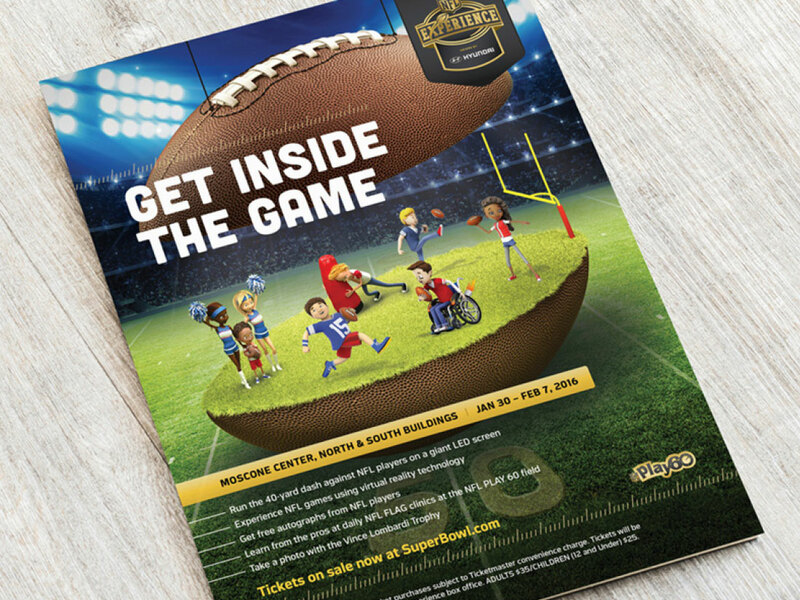 For the visual concept, Blind Society wanted to creatively show how the NFL Experience can get you into the game. 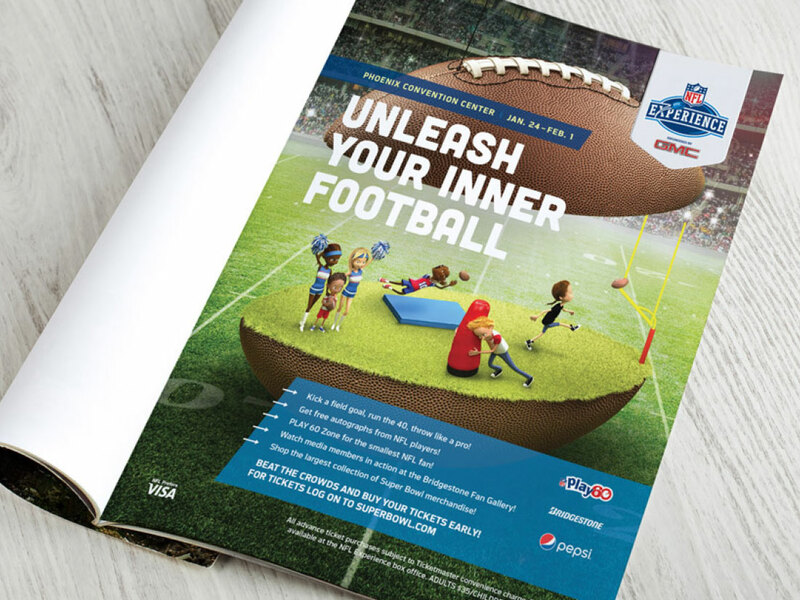 The Scottsdale branding agency kept the NFL Experience vibe modern yet playful by creating a custom 3D illustration that put participants inside a world of football. 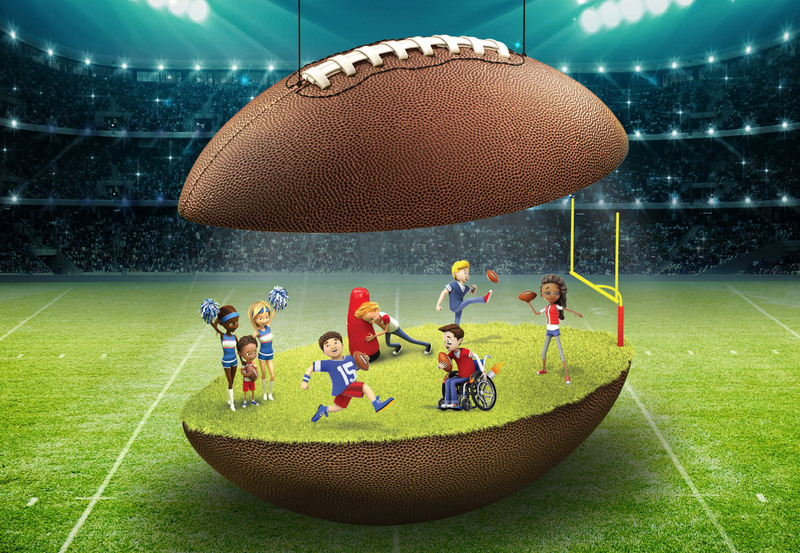 Blind Society partnered with UK based animation & illustration agency, Milky Tea, to create the NFL Experience’s first ever 3-D illustration and animation.